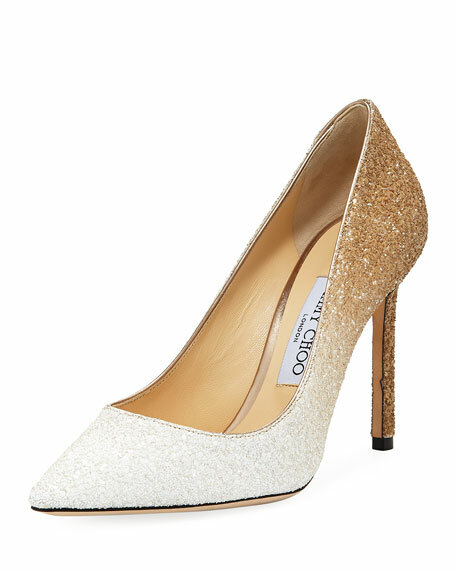 Jimmy Choo pump in ombré crushed glitter. "Romy" is made in Italy. 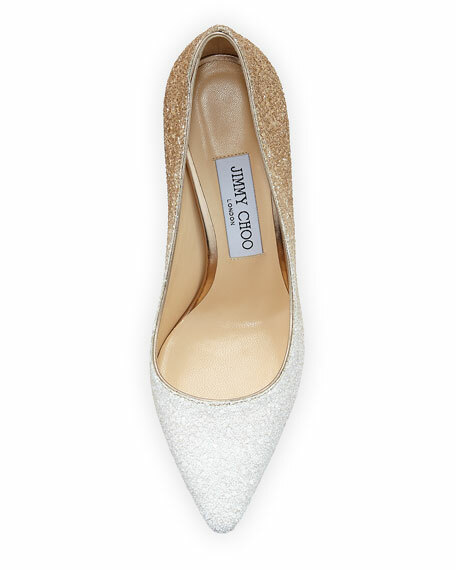 Sizing note: Jimmy Choo runs small. We suggest that you order a half size larger than you typically wear. 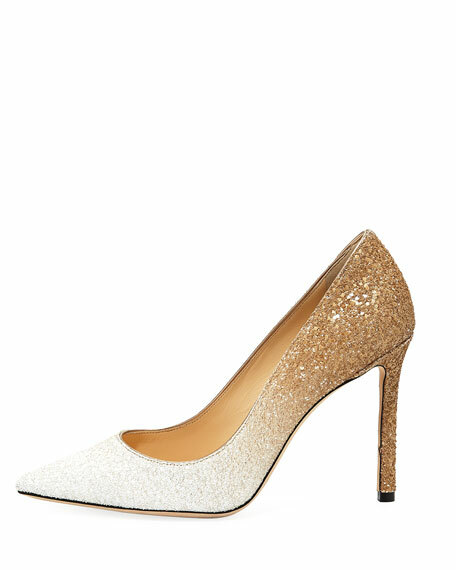 For in-store inquiries, use sku #2505121.